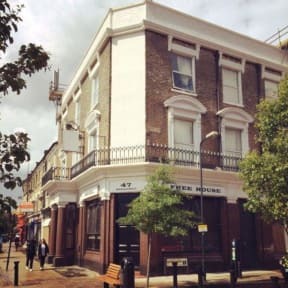 Set over a pub and restaurant in Willesden Junction, Le Junction Hostel - Pub & Garden is a purpose built hostel offers stylish and affordable guest rooms and dorms, plus a wonderful roof terrace, and is handily located just 20 minutes from central London by train. Le Junction has 14 rooms available, which include private twin and double guest rooms, and dorms with bunks for 4, 6, or 8 guests. All come with en suite bathrooms, free Wi-Fi and free bed linen is provided (towels are available for rent). Guests can use communal kitchen, and the friendly staff at the 24-hour reception can provide storage for your luggage and valuables if required (free while u stay). Downstairs you'll find a lively pub and restaurant with a beer garden and big screen TVs for watching sports events. 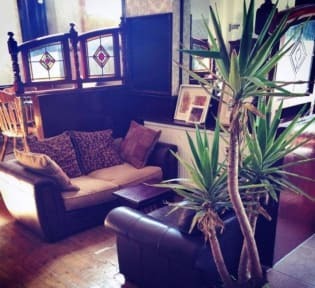 The guest house is just a 2-minute walk from Willesden Junction station, which has overground and underground trains around the city. The shops of Oxford Street and the bright lights of Soho and Covent Garden can be reached in 20 minutes. We do not accept customers younger than 12 years of age.